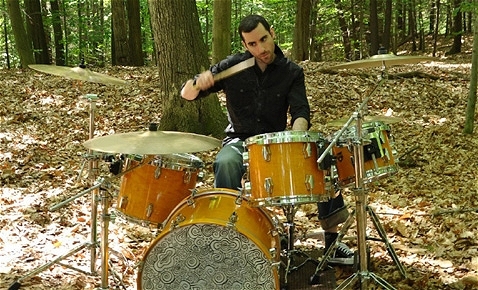 DAVID OROMANER is an alumnus of The Collective School of Music in NYC. Some of the diverse artists David has performed with include Max Bennett, Llew Matthews (Nancy Wilson), Bob Quaranta (Mongo Santamaria), and Mambo NYC. 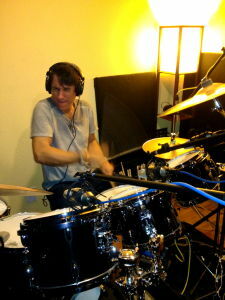 As a drum instructor, David specializes in playing without tension and rhythmic coordination. 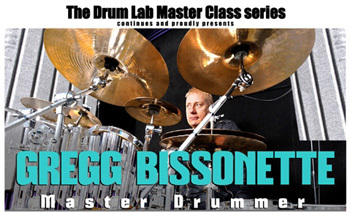 This is a unique format for 12 drummers, two drum sets and Gregg Bissonette, where everything's on the table for discussion and exploration. Music educator David Oromaner will lead us through movement re-education then apply that to the drums. This workshop is intended for all drummers and will help with injury prevention as well as repetitive strain issues. David is an alumnus of The Collective School of Music in NYC and also holds a bachelor's degree from University at Albany, a Masters in Education from Touro College in New York, and is a recipient of the prestigious Louis Armstrong Jazz Award. John Ferraro, Walfredo Reyes Jr.
After your tickets have been purchased, call McCormick's to make a dinner reservation to secure a preferred seat or table. McCormick's staff will always try to place you in the best seat or table available. 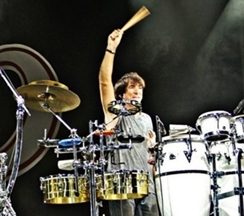 The Clinic plus the Meet & Greet: Walfredo will share his drumming and percussion concepts with the audience and his insights about music and the modern music business. Find out what it takes for a lifelong career in the music business from this veteran musician who's had a successful career over four decades. 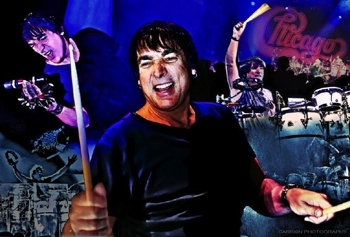 Walfredo's credits include Carlos Santana, Traffic, Steve Winwood, Jackson Browne, Celia Cruz, Gloria Estefan, David Lindley, Ricki Lee Jones, Richard Marx, Sergio Mendes, Smokey Robinson, Robbie Robertson, Joe Sample, Boz Scaggs, Christina Aguilera, Ricky Martin, Johnny Hallyday, Khaled, Lindsey Buckingham and many others. With Drum Lab instructor David Oromaner and his band Outside Pedestrian. This is a great way for musicians interested in jazz to get more comfortable playing jazz and also get educated guidance and feedback from professional educators. Click here for the selection of tunes and charts. Congratulations to Chicago band members on their recent induction into the Rock & Roll Hall of Fame. 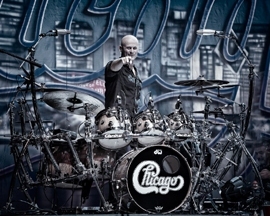 TRIS IMBODEN & WALFREDO REYES JR.
Congratulations to Chicago band members on their recent induction into the Rock & Roll Hall of Fame. Show to premier on HBO in the spring of 2016. Selected credits: Matt and Gregg have played collectively or separately with David Lee Roth, Don Henley, Stevie Nicks, Eddie Van Halen, Boz Scaggs, Elton John, Ringo Starr, ELO, Buddy Rich Big Band, Santana, Joe Satriani, Toto, Steve Vai, Spinal Tap, Maynard Ferguson and Richard Marx. They have countless credits for movie and TV soundtracks. 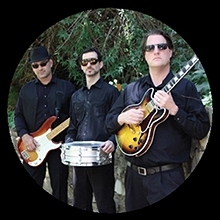 Gregg is a current member of Ringo Starr's All Star Band and Matt is a current member of the Elton John band. 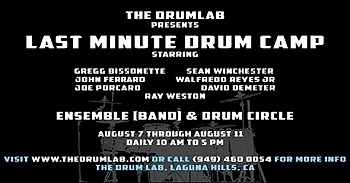 With Drum Lab instructor David Oromaner and his band Outside Pedestrian with special guest Ron Kobayashi on keyboards. During the workshop the students get a chance to play a choice of jazz standards with the band. This is a great way for musicians interested in jazz to get more comfortable playing jazz and also get educated guidance and feedback from professional educators.